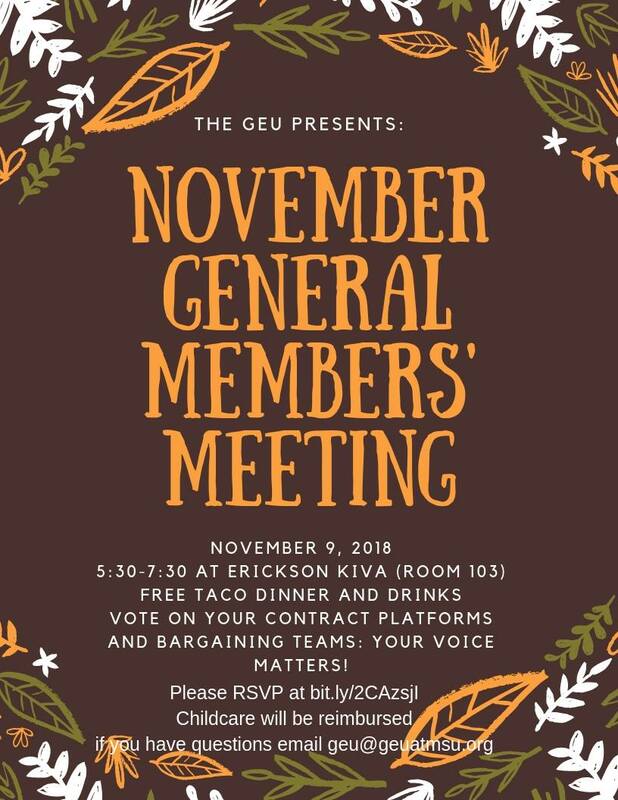 GMM- Vote on our bargaining platform and bargaining team Nov 9! Join us at Erikson Hall Kiva (Room 103) for a fun night of free tacos and drinks! We will be conducting important business like voting on our contract platforms, voting and confirming bargaining teams, and approving the union’s budget. As always, childcare can be reimbursed! We hope to have as many people come as possible so our contract reflects the needs and requests of all our members. Our strength comes from our unity and collective effort! Please RSVP so we have a proper head count for food! GMM – Contract negotiations have begun, come get informed and involved on February 22nd!